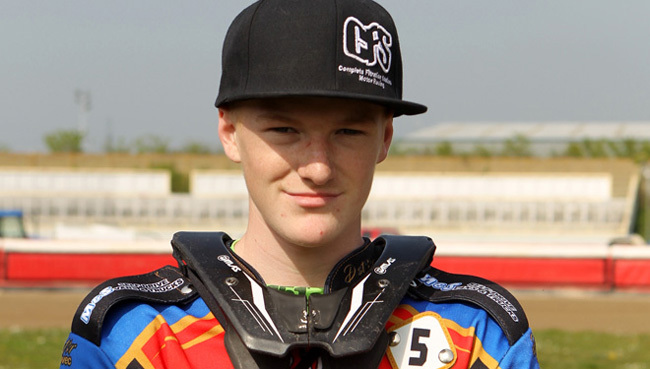 Kent's titanic teen Anders Rowe limbered up very nicely for the much anticipated announcement of his return for a third season at Central Park by winning the first round of the country's top 'out of season' Speedway event. The Winter Series at Scunthorpe represents a long drive for Swindon-based Anders but a 4.30am wake-up call for the 16 year old was rewarded, when he swept all comers away to take the opening round on Sunday November 25th. And then as December opened it was an early Christmas present for Rowe's many fans among the Kings' fraternity as the announcement came that the Weymouth-born teenager was to be lining up for a third season running for Kent in the National League. "I am so happy to be back at one of the best clubs in the National League, the Kent Kings. I can’t wait for another awesome year. Big thanks go to Len Silver and team boss Chris Hunt for having me back and all the fans for putting up with me for another year!". "I'm pleased to announce that Anders will remain an important part of our new look team. Doubling up with Somerset Rebels in the Championship, they run on Wednesdays - so very few clashes of fixtures and both of us are delighted with this outcome, with Anders getting the chance at a higher level that he deserves, while we enjoy watching his progress. I have been closely associated with our teenager since he was 10 years old and we have each benefited from the loyalty that goes in both directions. Long may it continue." "Soon I will start building my new bikes and they are going to look even better than 2018. I'm on the look out for sponsors and am delighted at this stage to announce that 151s (http://www.151s.co.uk) and Reynolds Plumbing & Heating in my home town Swindon are back on board as sponsors. Room for plenty more!"